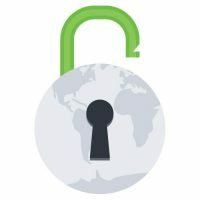 The VPN Lab - VPN Guides - Does IPVanish Keep Logs? Launched way back in 1999, IPVanish has provided its users with quality services ever since. 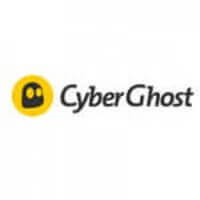 The company is based in the US and sports a rather high level of user privacy and security, according to its website. On the other hand, we’ll have to address the elephant in the room at some point. The US is definitely not your prime VPN location if privacy is the number one reason you’re getting it in the first place. Stick around and learn everything about IPVanish’s logging policy and overall information security. The US currently has no mandatory data retention laws, which would be excellent news if not for the second part of the story. Namely, VPN companies can be hit with a warrant and/or gag order at any time and compelled to hand over any stored user data. As you might presume, this is potentially a very big concern when it comes to your Internet safety and anonymity. Apart from the widespread surveillance practiced by the US government and its agencies, we also have to acknowledge the fact that we’re dealing with one of the members of the Five Eyes Surveillance Treaty, which is yet another cause for concern. Basically, VPN companies located in the US are not an ideal solution if you value your safety. There is a silver lining to this, though, and we’ll elaborate on it in the next paragraph. IPVanish doesn’t keep any user logs, which is something every VPN user in the world wants to hear. As such, even if it was served a warrant or gag order, it wouldn’t have any connection or metadata logs to hand over. The US government can’t make VPNs store user data since there are no mandatory data retention laws. This is a convenient loophole that allows IPVanish to stay competitive in times when everyone knows America is a bad place for Internet safety. As we said a million times, though, there is no such thing as a zero-log VPN company. There are just those that record your online activity (bad) and those that keep connection logs (better). With that in mind, IPVanish will require your name, email, and billing address for registration purposes and it will record your IP address and viewed pages.